Manchester Local Care Organisation brings teams of health and care professionals together in local neighbourhoods. Teams led by GPs bring together community nurses, social workers, mental health services, community organisations and specialists like therapists, pharmacists and health visitors. Based in a central location in their 12 neighbourhoods, the teams bring together the different skills, services and support needed to look after people outside hospital in a joined up way. They are also building on the positive support networks and facilities that exist in our neighbourhoods – from hobby and social groups, to parks and leisure facilities. 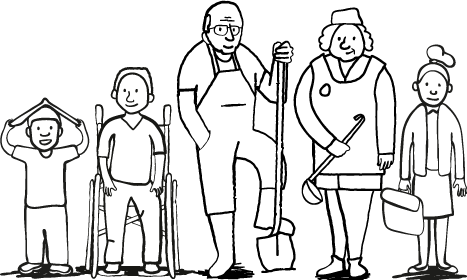 Supporting people in and out of hospital – ensuring community-based care helps people to avoid unnecessary hospital admissions; or to discharge them from hospital care, quickly and safely, as soon as they are ready if they do need time in hospital. At heart of everything they do is a way of working that puts people first focussing on what matters to them, to support good health, manage conditions and prevent ill health.